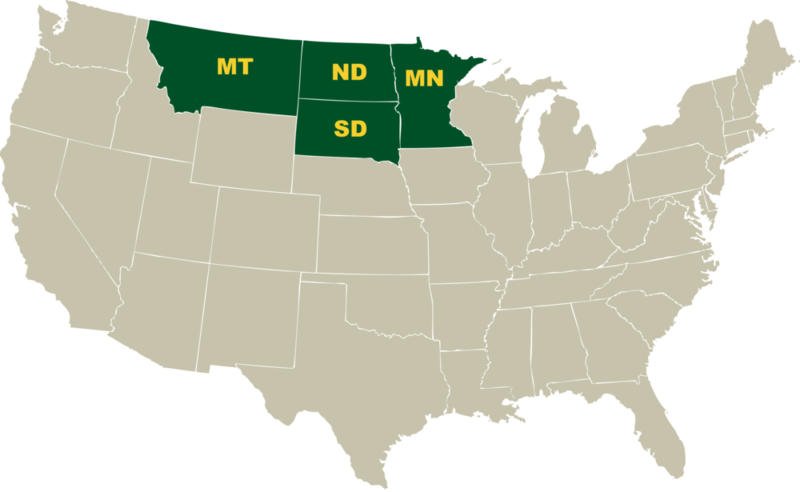 The four state region comprised of North Dakota, South Dakota, Minnesota and Montana is located in the northern Great Plains of the United States. This region produces an abundance of agricultural commodities. Agriculture is the economic backbone of our four-state region: Minnesota, Montana, North Dakota and South Dakota. In 2009, total agricultural exports were valued at $4.28 billion in Minnesota, $928 million in Montana, $3.18 billion in North Dakota, and $2.33 billion in South Dakota. Crops grown in the northern-tier of the U.S. are among the finest in the world and are valued by discriminating customers around the globe. Since 1983, Northern Crops Institute (NCI) has hosted crop buyers, technical experts, commodity traders, processors and producers from over 133 nations. They come to learn more about crop quality and availability. Northern Crops Institute does not buy or sell crops. We teach people how to use our crops and how to buy them through the U.S. grain marketing system. Northern Crops Institute promotes the region’s wheat, feed grains, soybeans, pulses and oilseeds, and their products through educational and technical programs for international and U.S. buyers. Northern Crops Institute is the prime source of technical education about northern-grown crops and technical services for value-added products. Located on the campus of North Dakota State University, Northern Crops Institute supports regional agriculture and value-added processing by conducting programs that expand and maintain domestic and international markets for northern-grown crops.